Making Sense of Color Management demystifies a confusing topic, often assumed to be only a print designer’s concern. Hockenberry has wrangled this science-heavy topic into an enjoyable, easy-to-understand guide that will change the way you think about color. Essential for designers with any background. Working with digital color has always been equal parts arcane knowledge, luck, and confusion. 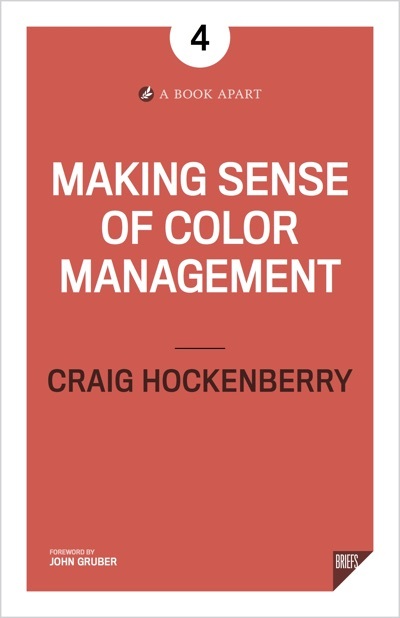 This book removes the mystery and makes managing color manageable. Craig Hockenberry has been making software since 1976 and built his first website at 14.4 kilobits per second. He’s a principal at the Iconfactory, a company that’s been changing the face of our computers for over 20 years. His writing has helped many fellow developers in their work, and that makes him happy. So does a Manhattan.